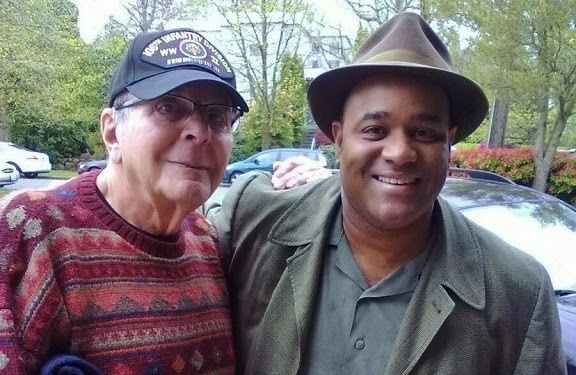 On February 2 my friend Stewart Stern died. Stewart was the legendary screenwriter of Rebel Without a Cause and the classic television movie Sybil. My guess is that you have read about his passing somewhere by now. News of his passing was covered by several websites and new sources. Because of this I’m not sure I have anything to add. Whenever I sit down to write this post the words do not come. Sometimes there is so much to say about a person it is crippling. This paralyzing anxiety about bearing your soul and putting it on a page and getting the words right is something that Stewart would have understood all too well. This is something that he wrestled with throughout his career. Stewart won an Emmy Award for his script for Sybil. Sybil was a triumph for television in the 1970s. This movie about a woman struggling with what was then called multiple personality disorder—and is now called dissociative personality disorder—had a huge impact on the culture and introduced many to the existence of this condition. It also allowed actress Sally Field, who had played Gidget and a Flying Nun on syrupy-sweet situation comedies, to graduate to more substantial material. On the Emmy telecast, Stewart was presented with his award by Kermit the Frog. Stewart told me that as he was making his acceptance speech he was still doubting his abilities. In fact, he was about to quit a job writing the story of Mary and Joseph for television. Even then, with the award in his hand, he doubted himself. Stewart was the kind of writer who wanted to get it right. He wanted to do a great job. He wanted to do a perfect job. All of his life he had been surrounded by high achievers. His uncle was Adolph Zukor, who started what became Paramount Pictures. When Stewart was a small boy he met the big silent movie stars of the day, Charlie Chaplin, Mary Pickford, Douglas Fairbanks and probably more that he did not mention to me. Later, when he started his own film career, his friends were the toast of Hollywood. While sitting around having coffee with Stewart one might hear stories about he and buddy Paul Newman or Joanne Woodward or Marlon Brando or Roddy McDowell or Elizabeth Taylor or Natalie Wood or Sally Field or Rod Sterling or Karl Malden or George Roy Hill or James Dean or Montgomery Clift or Judy Garland or just about anyone you can imagine. Stewart confessed that he was uncomfortable sometimes in the presence of these people, saying he felt out of place at those parties. Knowing all of these people and being in their company did not bolster Stewart’s confidence in himself. Just the opposite, from what I understand. But I don’t think it was knowing all of these people that was at the heart of Stewart’s fear. It was that Stewart wanted to tell the truth on the page. Stewart put his heart on the page. He bared his soul on the page. I think this is what crippled him. This is what stopped him from writing. Stewart felt that it was his job to be fully human and flawed on the page for the world to see. He knew that his flaws and his fears and his demons would be familiar to all of us. He knew that if he was specific enough, and honest enough, that we would all recognize ourselves in his work. 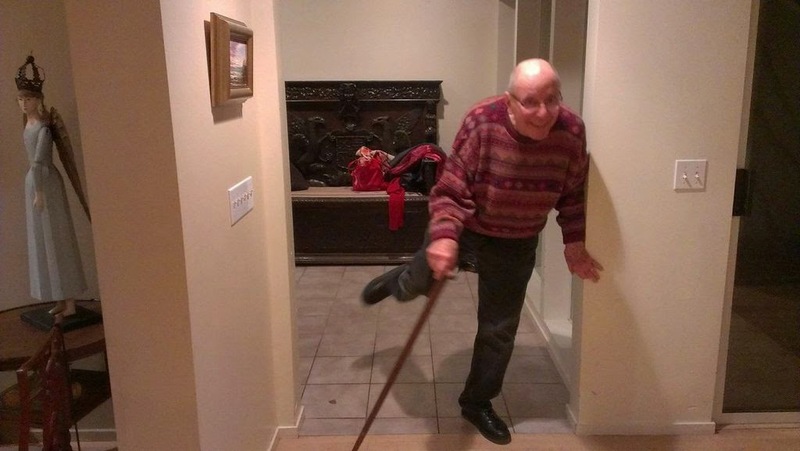 He meant this is a joke and it worked as such: the doctor and vistors in hospital room broke into laughter—not just because it was funny, but also because it was true for Stewart. Having a cancer that he knew was killing him was easier than writing. It was this self-doubt, this vulnerability, that made those of us who were lucky enough to know him love him so much. He was fully human. He was kind and loving. He was a wise old man with the soul of the child. Like the character in his favorite story Peter Pan, Stewart never quite grew up. His fear of writing was almost a child’s fear. In fact, often it made him beat himself up more: why wasn’t he producing more work? Was he a failure? I suppose, there was one way that Stewart did grow up—he forgot that he could fly. As we learn in Peter Pan: “The moment you doubt whether you can fly, you cease for ever to be able to do it.” It had been decades since he had completed a screenplay. Ironically, Stewart’s lack of confidence provided confidence for others. If this man, this legend, who wrote Rebel Without a Cause, Sybil, Rachel, Rachel, and The Ugly American and who was nominated for two Academy Awards and won an Emmy can feel that he is not good enough, then we can forgive ourselves for our doubts. As Stewart strove to do in his work he did in his life: we see his demons and his flaws are our demons and flaws. If we can learn anything from Stewart’s life and work it is that we do not have to be perfect to be great. In other words, he taught us how to fly. TheFilmSchool faculty. Top row, left to right: Warren Etheredge, Tom Skerritt, Brian McDonald and Larry Estes. of what ended up being Stewart's final class. For my money though, Stewart Stern was as perfect a man as I’ve ever met. I loved him and I will miss him. But I know exactly where to find him—second star to the right and straight on ‘til morning. Brian, this is a beautiful and touching tribute to your dear friend Stewart. If Stewart, a brilliant and award-winning writer, doubted himself this much, then we all should have hope for ourselves. It's okay to doubt yourself. We just have to keep going. Hope to someday write as honestly as Steward did. Thank you for this, Bri. Steward would have loved it. Dear Brian, first, how sorry I am to read of the death of your good friend Stuart Stern. What a man he was and what a legacy he has left. 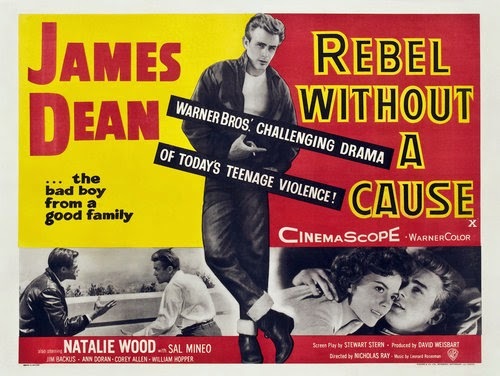 Its a long time since I saw 'Rebel without a Cause', but I well remember the time I did and its emotional impact hit me like a rock. 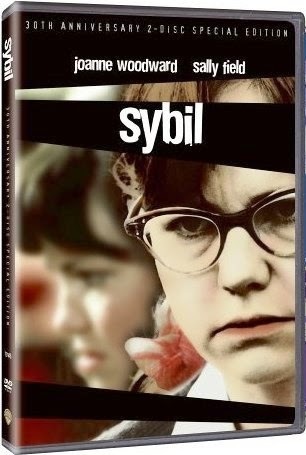 Interestingly, I am in the throes of trying to write a screenplay that has at its heart a woman with DID, so the fact that Mr Stern also wrote 'Sybil' is not lost on me and perhaps I should look it out and watch it. I also wanted to write to thank you for your books, 'Invisible Ink', 'The Golden Theme' and 'Inkspots'. For someone who has been this past two years 'studying' screenplay writing and having read some rewarding books along the way, your books may well be the 'missing link'. I watched 'Saving Mr Banks' recently and rather like those moments at school when your brain grasps a concept, quadratic equations etc. I had an epiphany during a scene and thought, “I see what this stuff is all about.” Then as fast as it came it left me. Damn! However I think perhaps that your books have brought back to me what I may have seen and I intend to apply that insight and am so glad that I have not ventured too far down a road I could not back up on without considerable difficulty. You will not be aware perhaps but there is a screenwriters festival held in London every late October (The LSF) at which many great screenwriters attend lecture and speak, e.g. 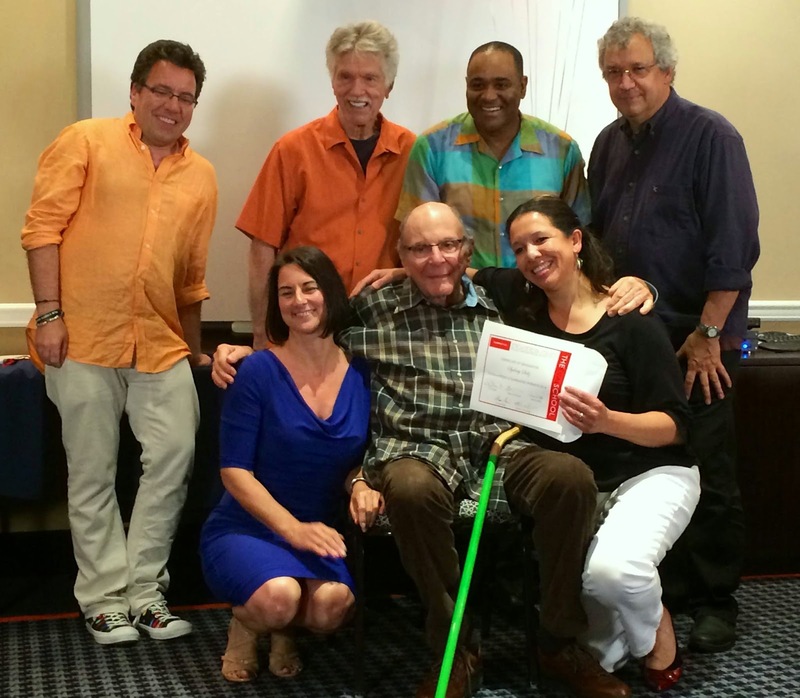 last year we had William Nicholson, Ted Tally and the director Joel Schumacher amongst many others. Its a huge event, with 800 attendees coming from all over the world and I believe its the only event of its type, begun by a guy called Chris Jones who is quite a force. I am passing on your good stuff, though not too quick, I feel like I have discovered something secret and do not want to give it away so easily! Also is there anywhere I can view your short film 'White Face' on the net? OK that’s all for now, thanks again and all the best to you, maybe one day we may see you at LSF or in London at least. What a wonderful way to pay tribute to your friend, His work was amazing! What a life he had built for himself and others! These words are all that one could hope to be remembered for. He must have been the best of the best to have gained your heart as he did. Sorry you have lost someone so dear. invisible inkVisit UVstuff for great deals in invisible ink cartridges . WorldWide shipping from USA and Europe warehouses. Nice blog and good content to use thanks for sharing it.